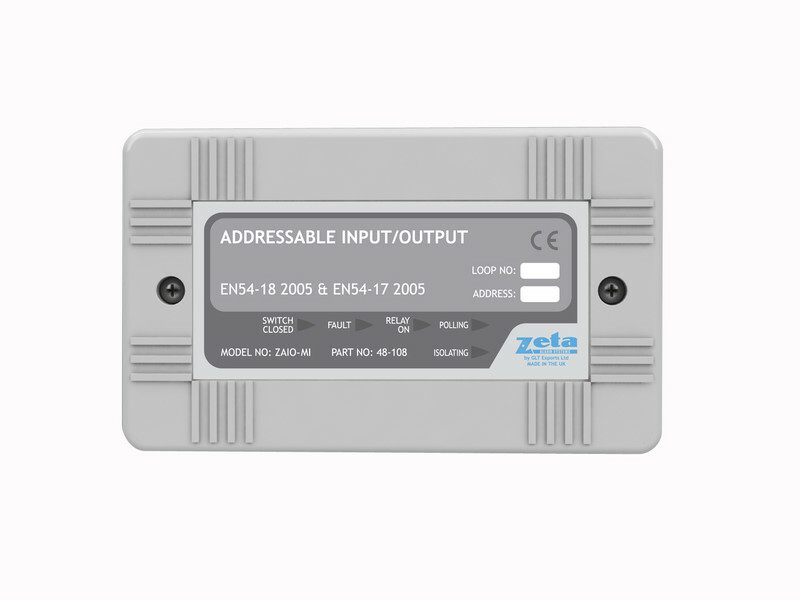 The ZAIO-MI is both an input and output module in a modern enclosure (2 gang box size) with well protected electronic circuit board to minimize any damages during installation. 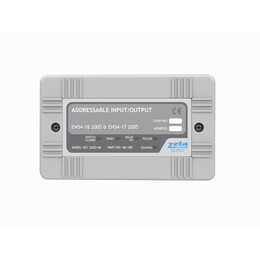 It is supplied with a back box suitable for surface mount indoor installation. Designed and manufactured to meet the requirements of EN54-18 2005 and EN54-17 2005. The ZAIO-MI is used when both an input needs to be monitored and at the same time a local output (relay output) needs to be triggered to switch ancilliary equipment on or off during an alarm condition. Typical output triggering includes: controlling lift operation during an alarm, starting fire pump, stopping ventilation fans etc. For more details and connection information consult the installation guide.